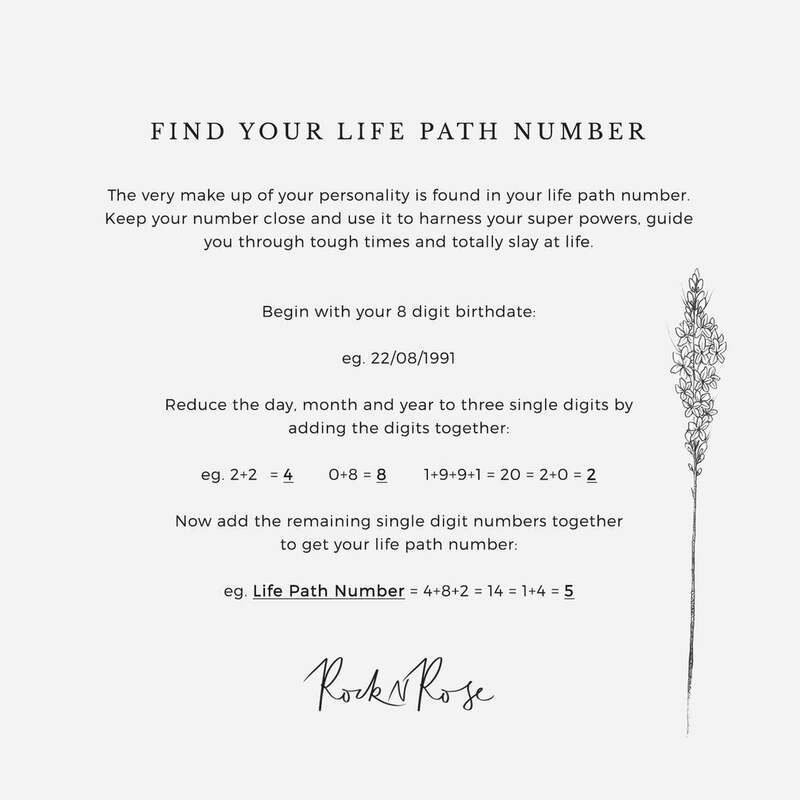 The very make up of your personality is found in your life path number. Keep your number close (like around your neck) and use it to harness your super powers. Sterling Silver. 18k gold plated. 40cm/16" delicate chain with 5cm/2" extension. Packaged on a super cute gift card with a little about your number to the front and instructions on how to find your life path number on the reverse.